Intense colour and concentrated, huge rises on the nose consisting of raspberries, plum, oak, pepper, and liquorice and spice. 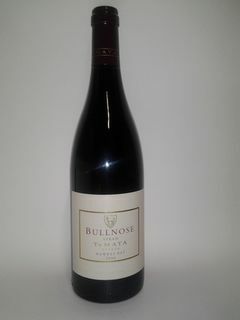 On the palate  excellent concentration of fruit flavours, intense and full bodied, complex and of suburb quality. Long length and ripe , nicely balanced tannins. This wine will age fantastically for 20 years. 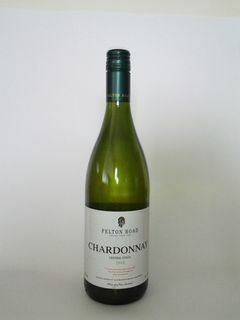 Chardonnay is such a versitile wine as it is delicatable on its own or with a wide range of foods. Christmas day, we enjoyed this wine with a warm lamb (backstraps) and green bean, avocado and potato salad blended with a oil, mustard and lemon juice dressing. 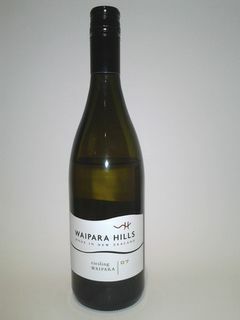 This Chardonnay was beautifully complex, with ripe citrus and white peach flavours and subtle oak. The acid was well integrated and nicely balanced by the fruit. With 15 years in the cellar, this wine was drinking superbly. The aroma was full, sumptious, and lively. There were excellent fruit rises and maturation characters of toast and coffee - also mixed in there was bit of earthiness and spice. 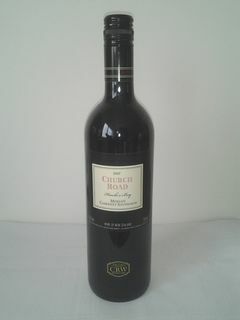 On the palate, this wine was soft and velvety, full bodied with excellent length. It was drinking exceedingly well and was well worth the wait. 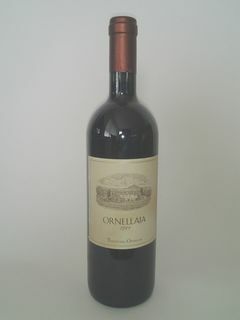 Ornellaia is one of the super tuscan style wines. 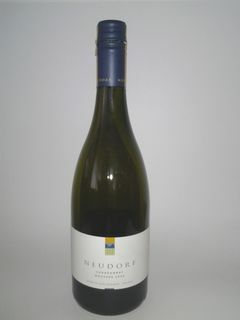 This is a tremendous wine, full of all the best characters that you would expect to find in a fabulous Chardonnay. Lots of citrus and stonefruit characters on the nose mixed with beautifully balanced oak and yeasty aromas. 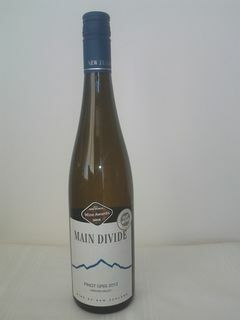 This was an excellent Riesling and it really demonstrated the benefits of cellaring a wine like this. What I really enjoyed was an increase in the kerosene character which brought it into a new dimension and filled out the mid palate. 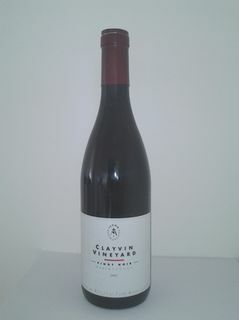 This wine had all the classic character of Syrah - spicy, white pepper, blackberry and plum and hints of liquorice. The tannins were ripe and nicely integrated to give complexity and a smoothness that only becomes evident with careful cellaring. Deep red and heavily extracted. This wine had huge fruit character with intense blackberry and black plum notes, along with herbs, spice and hints of earthiness and mushrooms. Very complex and high alcohol give it a 'real mouthfill' character. On the nose the cassis from the Cabernet Sauvignon is quite overt but there is huge complexity underneath of both blue and black fruits, crushed stone, chalk and wild thyme. 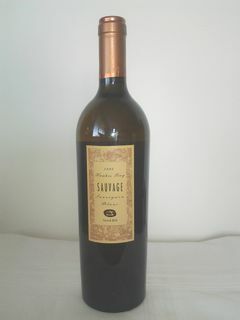 The palate is very concentrated with a supple texture in the mid palate. Golden yellow in colour, clear and bright. Ripe citrus and peach and a mix of other stonefruits provide a delightful aroma. 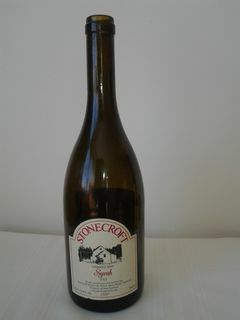 There were also well integrated hints of oak and yeastiness which all added to the complexity. 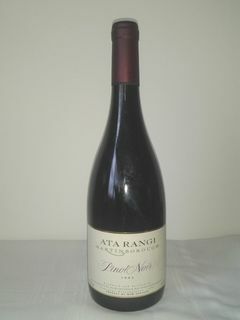 Testimony to the age-ability of New Zealand Pinot Noir.Super ripe cheery,plum, and mushroom with almost a perfect balance of ripe tannin, acid and fruit. Enduring length and complex. This wine will last another 5 years in well cellared conditions. Straw yellow and clear and bright. Aroma of ripe grapefruit and apple with yeasty and toasty characters. There is a hint of wild ferment mixed in with some floral notes - all this adding up to a very complex wine which is drinking superbly. Pear, and rich peachy and tropical flavours with spice and body. The length is suburb and it has lots of complexity due to the use of aged oak barrels for aging part of the wine and aging on its natural yeast deposit. 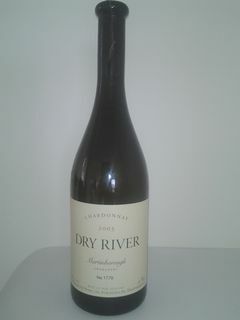 I bought a bottle for $NZ 15.95 which was a great buy. With the vines for this wine having the best of pedigree (La Chapelle)it is no wonder it is a stunner example of New World Syrah. Intense and complex with cassis and plum with lots of spice, licorice and cedar and enduring length. You have got to try this wine as it is a stunner. 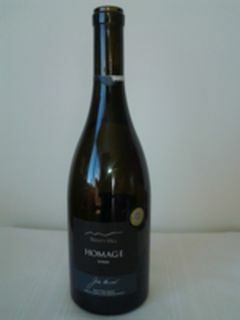 Ripe and complex fruit with strong acid backbone to give the wine longevity. 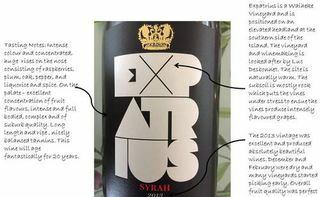 There are some herbal characters that further add to this wine. With 17 months barrel maturation with a minor new oak influence, the flavour has a wonderful nutty character that will integrate superbly with the fruit. This is a real cellaring proposition as it will not be at its best for another 5-7 years. Buy it now as it will not last. Posted 13/04/2014.